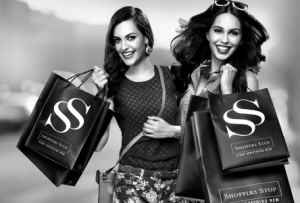 With the rise of Flipkart, Jabong and other Online Retailers in India, established retailers such as Shoppers Stop, Pantaloon have been forced to adopt Online & Offline strategy. Omni Channel was a response to the threat posed by low-cost online retailers. Omni channel is a multi-channel touch point. It combines brick and mortar with virtual channels – be it the website or mobile. Both formats, i.e., brick and mortar and virtual, are seamlessly synchronised in omni-channel retailing. If the customer doesn’t get a particular product in the store, he or she can browse for it on a kiosk or on the website / app and complete the order. We are going online because the customer wants this. Businesses have to fundamentally adapt to technology. We initiated the process over a year ago, when the buzz in Indian online was nowhere near what it is today. Consumers’ perception of technology and service has undergone a change and it is only evolving. Consumers today want to shop from anyplace and anywhere, and interestingly, are willing to wait for the product. Online players haven’t triggered any decision making for us. The reason we adopted omni-channel is because we had already migrated our operations to run a centralised warehouse / distribution centre, assortment approach, and back end – it just happened to coincide with the noise around e-commerce. We felt the need to invest in technology to move to the next leg. ecommerce venture Raymondnext.com. The Aditya Birla group has launched trendin.com which retails its brands including some of India’s largest brands such as Louis Philippe. But no one is anywhere close to creating a great shopping experience, says Mr Bawankule of Google. What are the Advantages of Omni Channel retailing ? Omni-channel brings real assets to compliment online stores so that they don’t eat into each other’s sales but rather, complement each other — sales strategies under omni-channel include click-and-pick, reserve the product, and shipping from the store instead of the distribution centre. Omni-channel gives access to the product (listed on website/app) in the system, store as well as DC, to a customer – it also does this to customers who are beyond the (physical) catchment of the store and possibly where there are no stores. Thus, it helps improve the stock turns. Logistics Advantage – Shipping from a store is cheap. Delivery times are dramatically cut short and are at lower costs as deliveries can be made by the nearest store as there are logistic partners in place. From logistics perspective, there will be cost savings. If the product is there in the city, then it will get dispatched locally. Click & Pick Advantage – Most retailers would be keen to popularise click and pick, which essentially means that the customer can buy online and opt to collect it from the nearest store. It helps the customer get the product quicker — more so if it’s already in a nearby store. A customer is also likely to make more purchases when he or she comes to the shop to collect the order. And of course, there are no shipping costs. Typically in a store we can offer 4-20 designs due to space constraints. But I can have 50 designs in the backend. So a customer may see some colours of a design on display and others on a screen or tablet in the store. If the piece is not in the store, it will get shipped from the backend where the customer will have the option of picking it up from the store or get it delivered home. We’ll see What does it take to go Omni Channel for a retailer in the next post.